Level 5’s Inazuma Eleven game series has shipped more than 7 million copies worldwide since kick-off in 2008. Last year the latest localised entry in the series arrived on the 3DS in Europe as a dual release part of the second trilogy. With football steadily on the rise in the land of the Socceroos and All Whites, it’s only fitting the latest 3DS entry for PAL regions is made available in this area as well. Close to a year since the original PAL launch, Nintendo has today announced Australia and New Zealand will receive Inazuma Eleven GO: Light & Inazuma Eleven GO: Shadow for the 3DS on 18th July. This release marks the first time an Inazuma Eleven title will be available on retail shelves in the region. Starring a class of aspiring superstars ready to take the pitch and go for glory, Inazuma Eleven GO: Light & Shadow follows the tale of the young but talented individual as he starts out his football career during trying times at Raimon Junior High. With a unique formula of RPG elements combined with football-based action, over 1000 players to recruit for the starting line-up, 100 in-game special moves to unleash along with plenty of exclusives across each game version and additional extras such as StreetPass, this is football at its finest. For a deeper analysis, read our review from last year. For those of you in Australia and New Zealand, let us know in the comments if you’re excited about Inazuma Eleven GO: Light and Inazuma Eleven GO: Shadow and tell us which side you’ll be supporting on release. Ok... I see, was never released in North America...This is why I hate region locking but they'd have to change it to Soccer because we'll have too many people wondering why this isn't "Football"
"I must take control of football" Love it! Don't love the fact NA hasn't seen any more of these. @ikki5 North America has the first game available on the eShop. You should check it out. WHAT HAVE THEY DONE TO THE BEAUTIFUL GAME!!!!!!!!!!!??????? Might try to get into this series actually, I seem to lack a football/RPG/anime genre in my game collection. Anyone played any of them? wait a minute! what about the original trilogy in Australia and New Zealand? did they forgot to release the original trilogy in Australia and New Zealand first? also i am waiting for you Nintendo life to do a IE GO 2 Chrono stone review! get this game! it is very awesome and the story is very well written! @BakaKnight i know. It is a stupid idea to release IE GO first and not bothered with the original trilogy. Very tempting, I will if I can find it at a good price. But I will probably still be playing Splatoon. 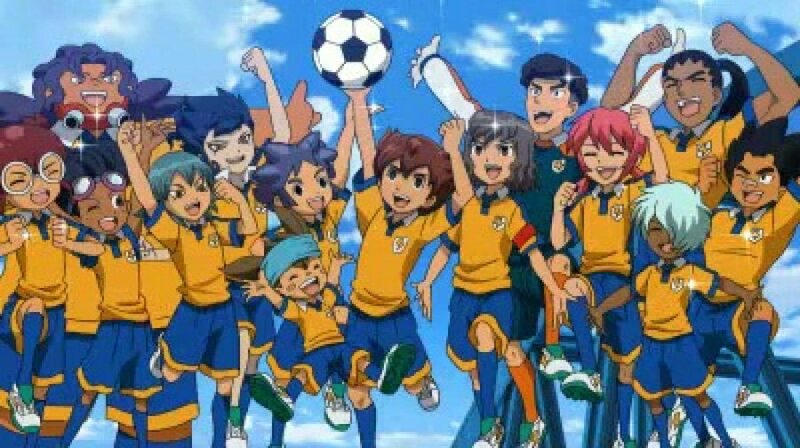 @ikki5 have you tried this version http://www.nintendolife.com/reviews/3ds-eshop/inazuma_eleven it released a couple years ago on 3ds and is very well done. If you get a chance I highly recommend it.